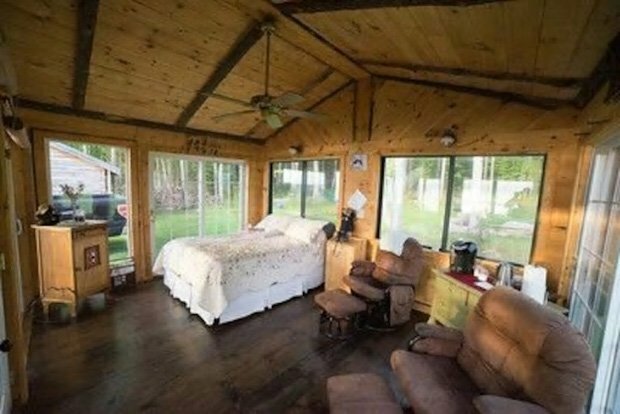 A Cozy Shack with the Great Outdoors for your Pleasure! Ever find yourself at your wit’s end, feeling the pressure and stress from work and urban life is just too much to handle? Maybe all you need is a getaway, a change of scenery and pace. There’s one available from Airbnb that will surely put the smile back on your face and the shine back into your life. 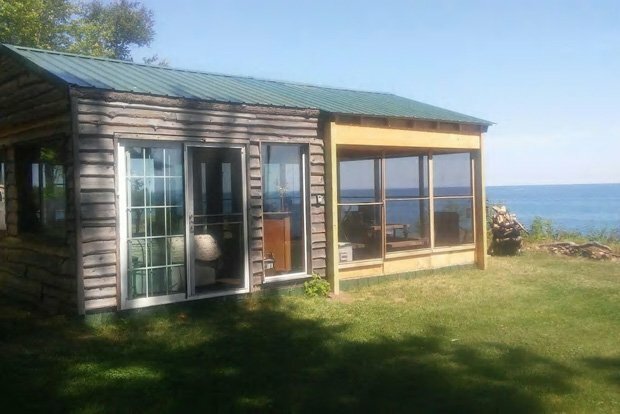 That’s the Love Shack located in Marquette, Michigan, on a forested setting that ends on a cliff overlooking the breathtaking Lake Superior. 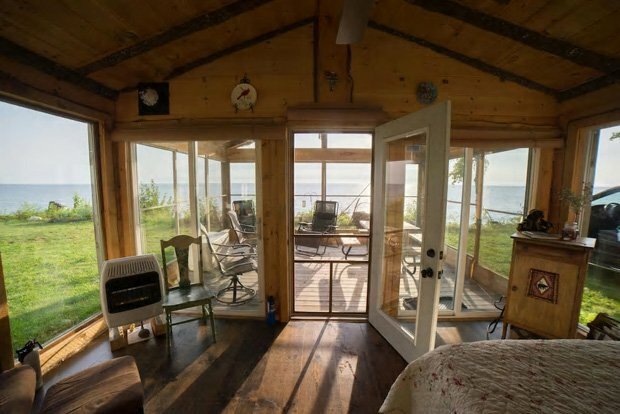 It’s a perfectly private and romantic cabin for two, for you and your special someone. 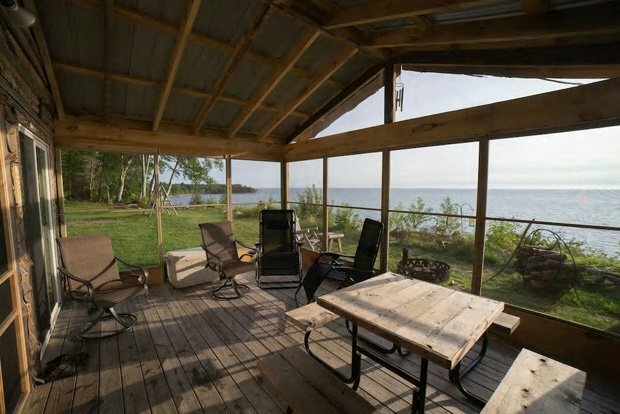 And whether you’re lounging around and taking it easy inside the Love Shack, or enjoying the great outdoors, the spectacular views all around will surely exhilarate and inspire you no end. Now take a look at the photos and tell us what you think on our Facebook Page! 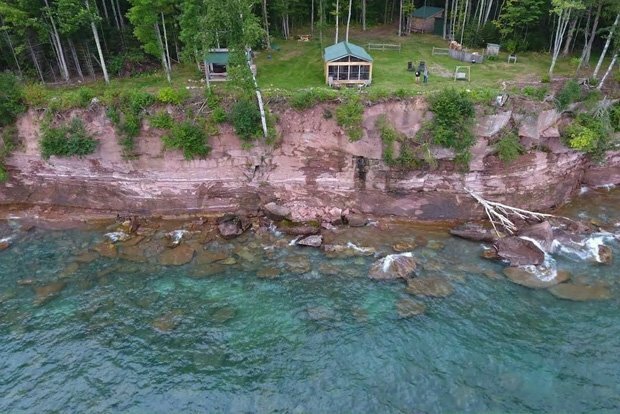 Welcome to the Love Lot 500 on a cliff with a glass surrounded Love Shack, sauna, and RV/camping site overlooking the majestic Lake Superior . 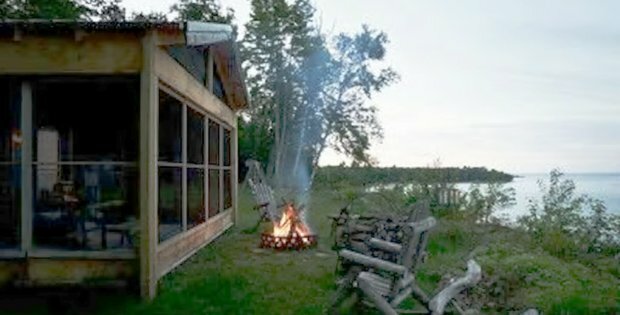 . . Off the grid but comfortable and very private!